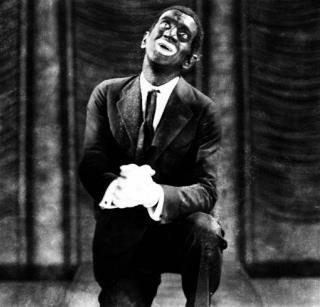 (Newser) – A former Baltimore police officer said yesterday that he plans to perform an Al Jolson routine in blackface to raise money for the six Baltimore officers indicted in the death of Freddie Gray. Bobby Berger, whose performances as Jolson created tension with the department in the 1980s, said yesterday that 610 tickets have been sold at $45 each for the Nov. 1 fundraiser in Glen Burnie, Md. But the venue involved, Michael's Eighth Avenue, says the fundraiser will not be held there. "No contract was signed with Mr. Berger," a notice on its website said. "Michael's does not condone blackface performances of any kind." Berger said he doesn't believe there's anything racist about his routine. "It's coincidence," Berger said about the fact that the entertainer he impersonates wore blackface. "There's no racial overtones to this show." He should team up with Wayans. They can dress up in whiteface, and he can do blackface.